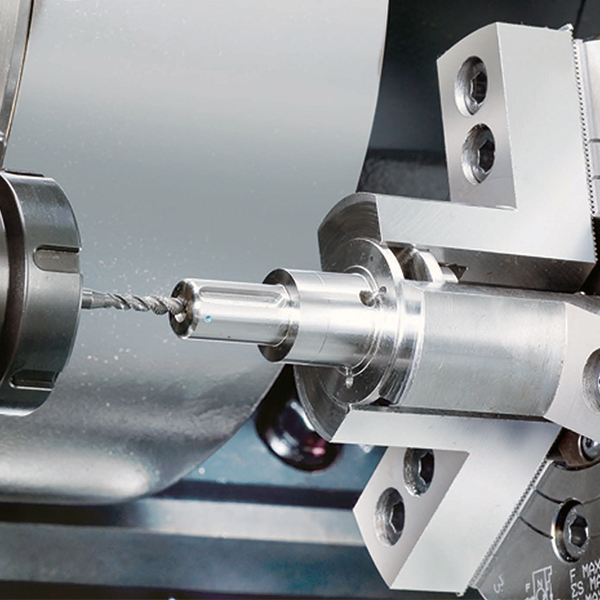 Standard rigid tapping feature provides high speed precision tapping without the use of floating tap holders. Set up is easier and depth of tread more accurate, permitting maximum productivity for tapping operations. 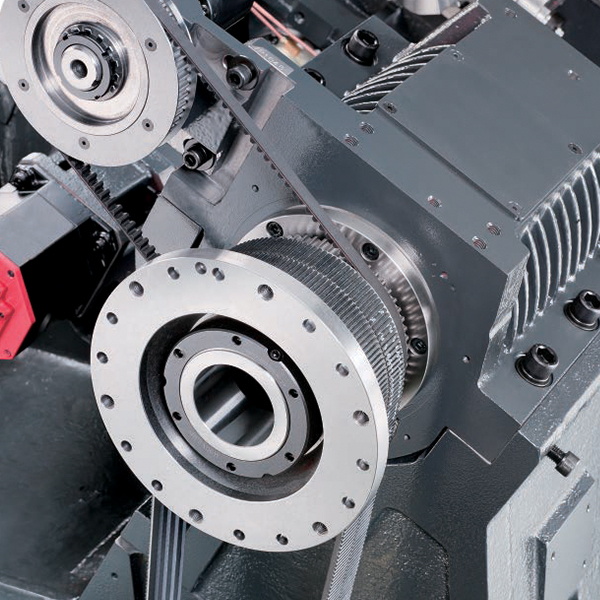 The precision direct belt drive system provides greater spindle control, flexibility and serviceability. Pulley ratios fine tune the motors maximum rpm to match the spindles maximum rpm, which result in full output at the lowest rpm possible. 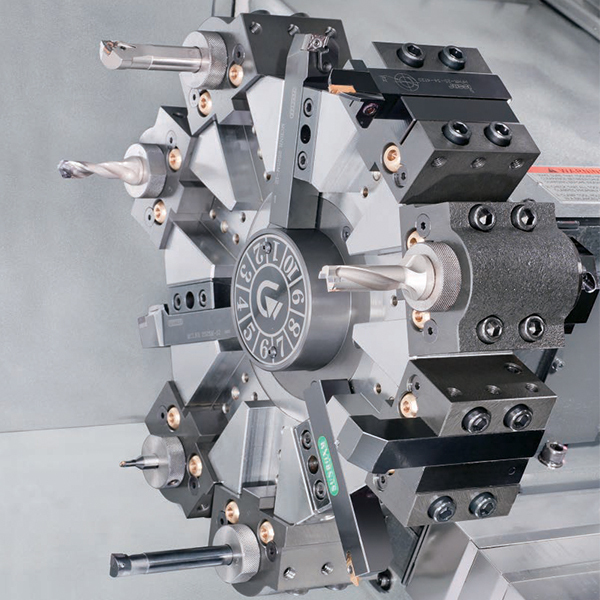 GLS series models are available with built in spindle motors providing faster spindle response, reduced vibration and power loss translating to faster cycle times, higher accuracy and lower maintenance costs. Built to withstand rigorous high production turning, the heavily ribbed, one piece thermally balanced bed and casting parts are of Meehnite casting. 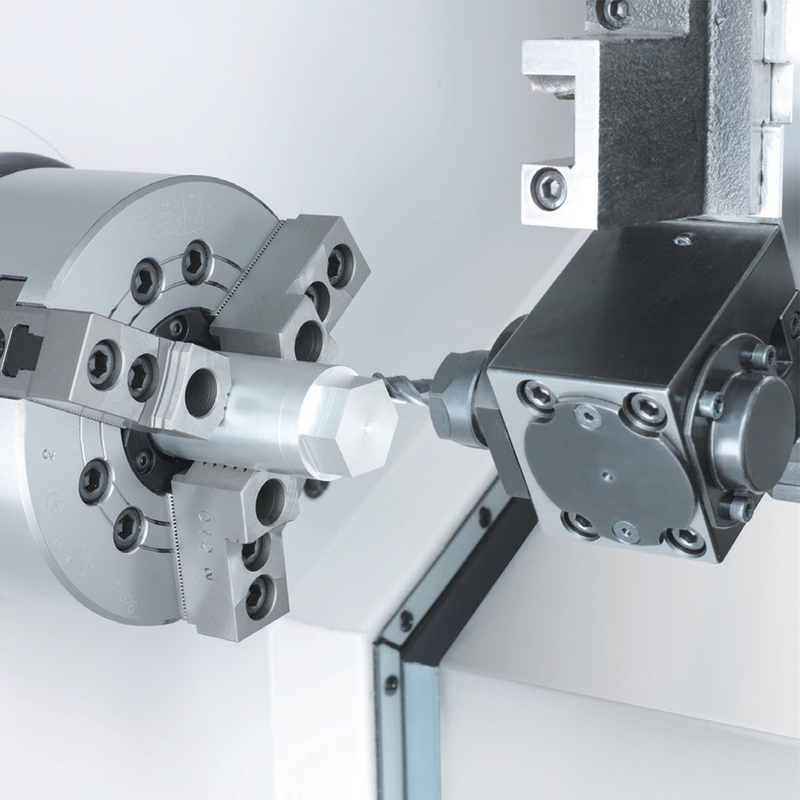 The 30 (degree) true slant bed design further provides superior support for the headstock, turret and tailstock thus creating the rigidity needed for long term high precision turning and efficient chip removal. A high speed servo motor indexing system provides the 12 station turret with a 0.2 second indexing time. Large diameter high precision curvic couplings and hydraulic clamping are used to enchance tool indexing accuracy and turret disk rigidity. 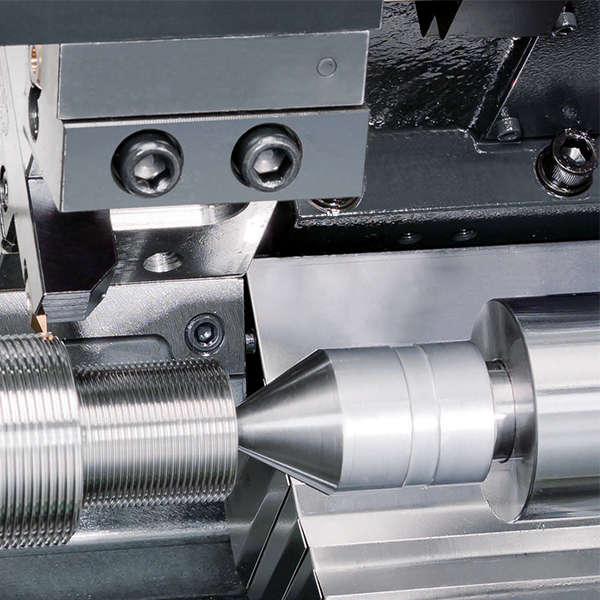 Numerous turret configurations including live tooling and 1/2 indexing options allow the machines to perform multiple tasks on a workpiece such as turning, milling, drilling and tapping. This eliminates manpower and cycle times while reducing loss of accuracy which would occur when moving the part from one machine to another.